Ever wondered why the Rocky Mountains have been a focal point in so many travellers' dreams? Hop aboard our Rocky Mountain Camping Adventure and see for yourself! Explore lands tamed only by the glaciers that swept across them, and witness the final battle between ice and rock on the Icefields Parkway on your adventure tour. Try your hand at photography among some of the world's most iconic landscapes, or experience deep relaxation while breathing the lightly spruce scented air. This Rocky Mountain adventure packs it all in! Your guide makes sure that camping is easy and comfortable with hot springs and showers along your Canadian Rockies tour! This Rocky Mountain adventure tour is ideal for everyone, featuring flexible adventures and activities that allow you to challenge your inner athlete, or relax and enjoy the scenery. We got excited while planning this Rocky Mountain adventure tour and crammed in as many incredible experiences as you could possibly handle. Enjoy a scenic float tour or choose a wild ride down the legendary Kicking Horse River and explore endless alpine meadows and panoramic ridges on guided hikes. Stand below towering waterfalls, then lounge on a stage set lake shore and gorge on a delectable spread of local foods. We even ride horses or a train in Jasper to make sure you get the ultimate view and and even better story of your guided adventure tour in the Rockies. Perfect guided tour for anyone, from ultra athlete to first timers and avid relaxers, with highly adaptable adventures and activities. 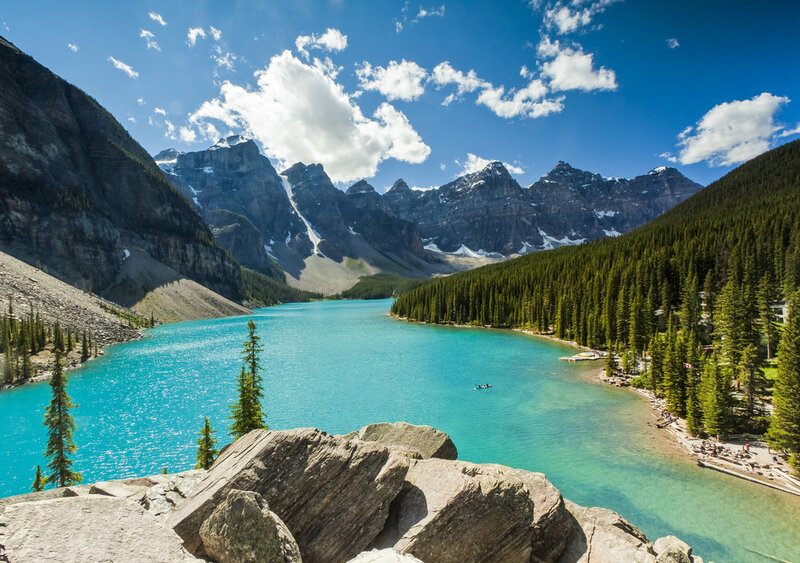 Start your Rocky Mountain adventure tourin the Kananaskis highlands, experience the characteristic Rocky Mountains of Banff National Park and see where glaciers meet mountains in Jasper National Park. Then we dip West where you get to explore the hidden treasures of Yoho National Park and Kootenay National Park, renown for its abundant wildlife. Camping in the Rocky Mountains with new friends and jaw dropping scenery puts a nice cherry on top for this Canadian Rockies adventure tour. Just don't forget your camera! Pick up from Calgary hotel, drop off at Banff or Calgary hotel or Calgary airport. Gourmet food prepared by your guide for all diets. All meals are included from pick up to drop off. Comfortable and eaasy camping as a group. 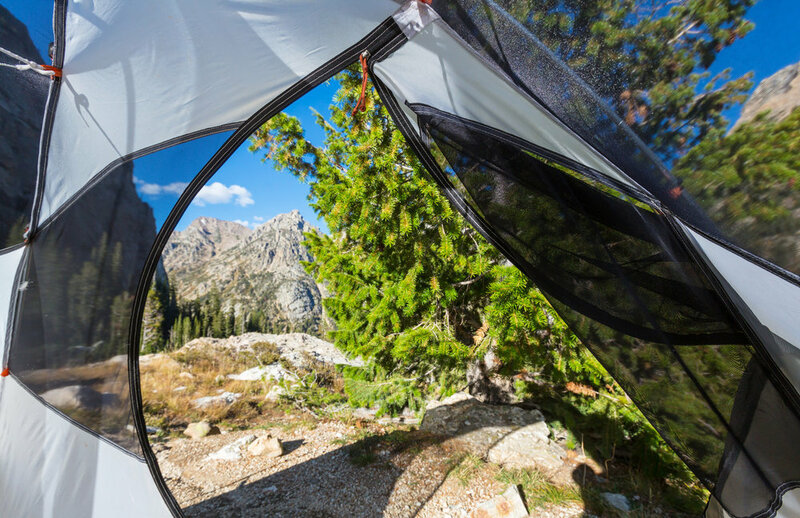 Single or double occupancy in high quality 2 or 3 person tents with good sleeping pads. 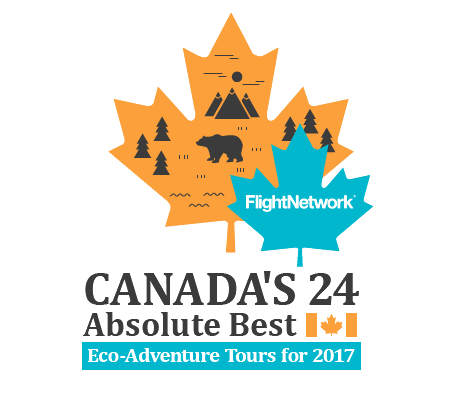 Hiking, gondola, hot springs, plus optional whitewater rafting, horseback or train ride, Banff activities. Day 1: Tour Pick Up- After we pick you up from your Calgary Hotel we head 2 hours West, into the mountains. Watch the landscape go from flat plains to rolling hills to jagged rocky peaks in the span of 15 minutes. We set up camp in Kananaskis Country, eat a hearty meal and go on a quick hike in the area. Day 2: Banff and Lake Louise- We wake up in the fresh mountain air, and after a tasty breakfast, we take the scenic route past Spray Lakes and Canmore. Experience world renown Lake Louise and Moraine Lake, before turning North on the slightly less explored Icefields Parkway. We make sure to check out impossibly turquoise Peyto Lake and thundering Mistaya Canyon before pulling in to Bow or Abraham Lake, where we camp for the night. Feel free to explore the area, or go for a dip in the breath taking water, if you dare. Feast on local delicacies, and lay back as the first stars come out. Now your on mountain time. Day 3: Icefields Parkway- We hit the road and continue North on our journey towards Jasper. Along the way we stop and enjoy countless waterfalls, views, and the Columbia Icefield, where you get up close and personal with the Athabasca Glacier. Look over the edge of Maligne Canyon and watch the tumultuous path of water far below your feet. We camp near Jasper, with fiery orange mountain skylines in all directions. Day 4: Jasper- Put your spurs on because today you can explore the area on horseback to get a unique perspective on the rugged landscape. Take your time to wander around the Jasper town center before riding the Jasper Tram high up to a mountain ridge. Try your photography skills during the evening light, with epic panoramas in all directions. 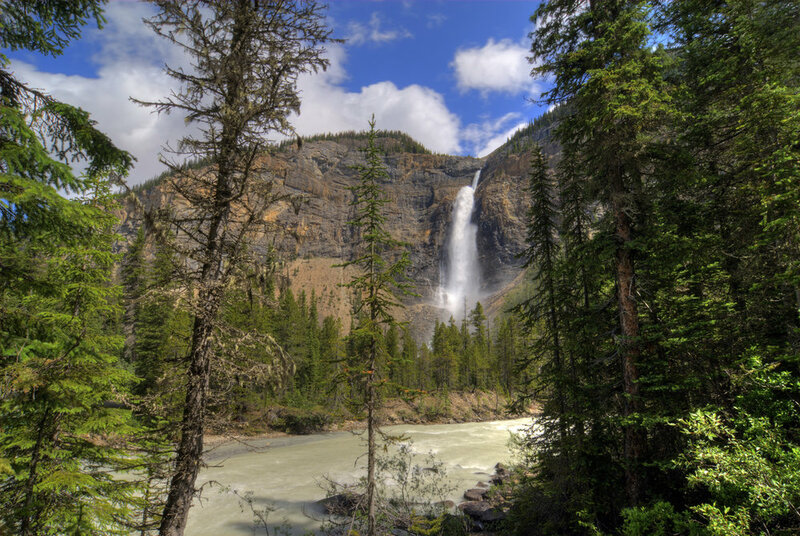 Day 5: Jasper and Yoho- Today we head South then West into Yoho National Park, where we stop at lesser known treasures such as Takakkaw Falls and the ingenious Spiral Tunnels of the CPR. Check out Emerald Lake and the Natural Bridge, where millions of years of water has taken its toll on the rock. Listen to the distant roar of the falls or lay below towering Chancellor Peak before we camp for the night on the tranquil shores of Kinbasket Lakle. Day 6: Yoho and Rafting- Wake up to the crisp air of Yoho and head out for a day of scenery and excitement on the Kicking Horse River during an optional rafting trip. Hike among the sheer mountains Yoho is famous for and maybe even circum navigate Emerald Lake, before relaxing for the evening. Day 7: Gondola and Calgary Drop Off- Enjoy a final camp breakfast before heading up the Sulphur Mountain Gondola in Banff. Feast your eyes on some incredible panoramic views of Banff and the surrounding area. Next we head back to Calgary, arriving around 2 pm. You have the option to be dropped off in Banff, or anywhere in Calgary. July 28- August 3, 2019- Limited space! Prices are subject to change and are applicable to a 5% local tax.